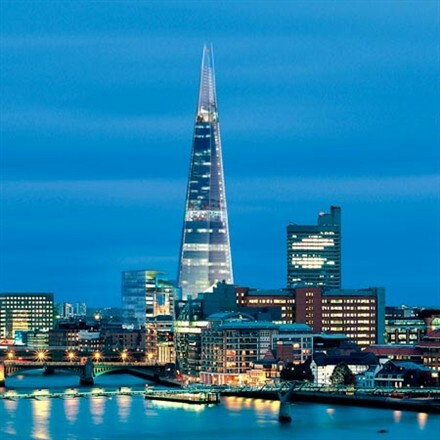 The Shard is one of the most enigmatic buildings to adorn the London skyline in recent years. 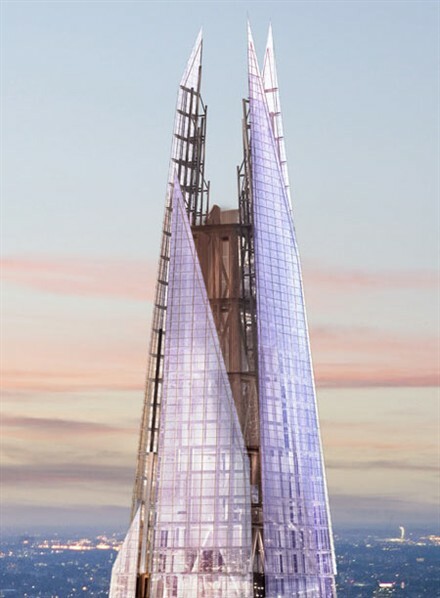 The vision of its creator, the much lauded Italian architect Renzo Piano was for a vertical 'City in the Sky'; and the Shard at London Bridge Quarter with its mix of offices residences, hotel, restaurants and viewing platforms will herald a new era in high rise development for London and will become emblematic when all eyes look towards the city in 2012. Increasing density in central London, particularly near major public transport nodes, is key to London's future development. Improving the efficiency of the public transport system and maximising the use of space around transport hub is essential. Given the Shard's location above one of London's key commuter stations, bus interchange and two main underground lines, a high density development was deemed not only possible but very desirable. 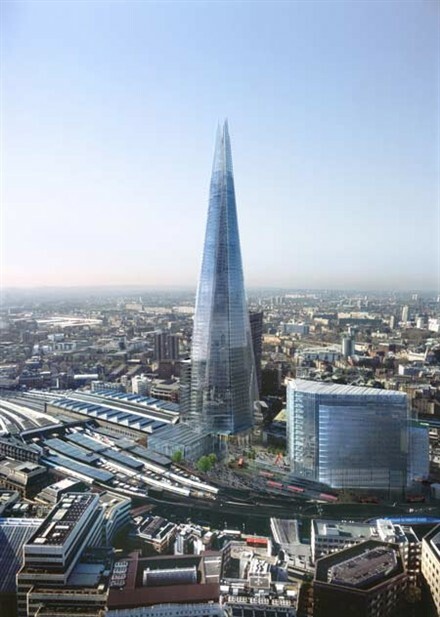 The Shard immediately adjacent to London Bridge Station will rest elegantly on the London skyline, providing a welcome new symbol for the world financial capital. The Shard replaces the Southwark Tower, a 1970's building located on London Bridge Street. 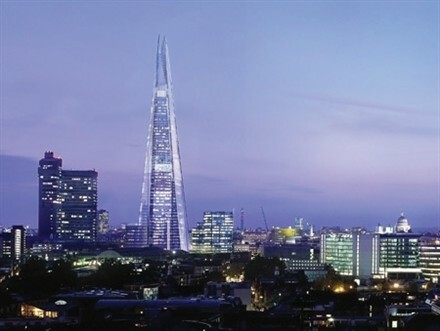 The Shard offers high density vertical development at a transport hub and will be the UK's first truly mixed use tower, devised to interface with London on many levels. The master architect, Renzo Piano, designed the Shard as a 'vertical city' that includes a public piazza, 586,509 sq ft (54, 488 sq m) of world class office space, an exclusive collection of residential apartments which will be the highest residential apartments in the UK and will be serviced by Europe's first 5-star Shangri-La Hotel, retail space, restaurants, and a public viewing gallery. This will all ensure that it becomes the beating heart of a regenerated London Bridge Quarter. 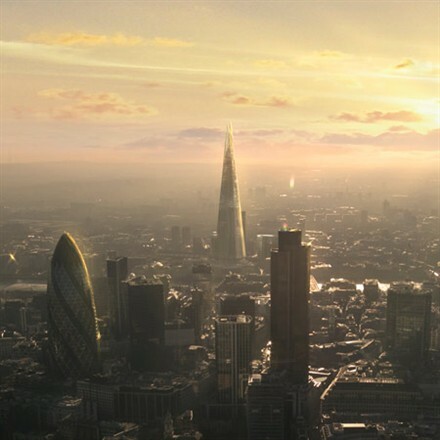 Inspired by the spires of London's churches and the top sails of the ships that used to moor on the Thames, the Shard will be a light and elegant presence in London's skyline. The plan is generated by the irregular nature of the site. Each facet forms a shard, a plane of glass gently inclined inwards, rising towards the top. The corners are open and the shards do not touch, allowing the building to breathe. In turn the glass surface fragments as it rises and the tower dissolves into the sky. 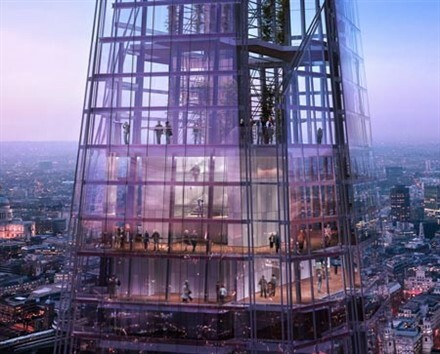 The first Shangri-La Hotel in the UK will occupy floors 34-52 of the Shard and will contain 195 rooms and suites. The hotel will operate on the simple yet powerful philosophy of a warm, efficient and seamless service that has made the Shangri-La Hotels and Resorts Group famous. The Hotel will also feature a signature Shangri-La Spa on floor 52, which is available to guests as well as the residents and workers in the Shard and London Bridge Place. The Hotel also has its own entrance on St Thomas Street with valet parking and taxi drop off point directly outside. An exclusive collection of apartments at the Shard are arranged on floors 53-65 and are the highest elevation residences in the UK. 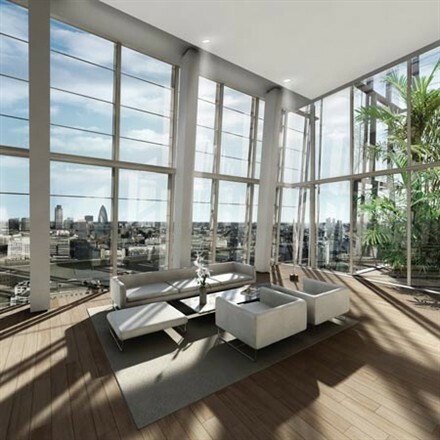 With their amazing vistas across the London skyline they will be one of the most coveted addresses in the world. The apartments will be the ultimate in sophisticated and contemporary living, with each being custom designed to the resident's exact specifications. The apartments will also benefit from all the services and facilities of the Shangri-La Hotel. To ensure the maximum levels of privacy synonymous with an exclusive address, residents at the Shard will have their own private entrance on St Thomas Street. Uniquely, the Shard will be open to the general public who can visit the viewing platforms on floors 68-72. These viewing galleries offer breathtaking 360° views across London. The viewing galleries are accessed directly from an entrance on the mezzanine level at below ground level so that visitors do not cross over with any of the other users of the building. The galleries are expected to attract over half a million visitors a year and with visibility at 800 ft (almost double the height of the pinnacle of The London Eye) are certain to become a major tourist attraction. The development of the Shard and the creation of London Bridge Quarter has provided the opportunity to transform the transport facilities at this major London transport interchange. London Bridge Station is one of London's busiest railway stations, with an average of over 350, 000 journeys through the station each day. On its completion in 2012, just in time for the London Olympic Games, the Shard will become the tallest building in the UK, overtaking One Canada Square.